Astronomers have picked up a mystery "noise" which they believe could be coming from an Earth-like planet in the outer space. After analyzing the strange signals emitting from the object, scientist are certain that a habitable planet exists some 22 light years away, a report said. 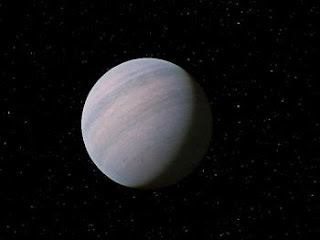 Last year, Pennsylvania State University researchers said Gliese 581d - and its companion Gliese 581g - were simply a trick of the light caused by magnetic burst sees from a local star 22 light-years away. The new British research, however, argues the method used by the Pennsylvania team was only suitable for large planets, and that it could miss small ones like GJ 581d, the Mail online reported on Friday. The researchers from Queen Mary University, London and the University of Hertfordshire, claim to use a more accurate model on the existing data.